Radel Paredes Painting. 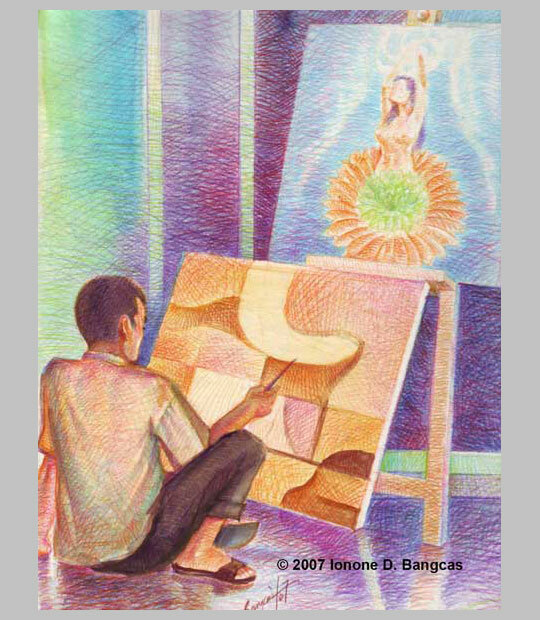 One summer afternoon in 2006, Cebu Daily News columnist Radel Paredes, my friend and fellow faculty member at USC, brought along his painting gear to my office. He set up shop in front of my desk. I got bored so I took out some PRANG and did a quick sketch of him as he painted his large canvas. I finished this a year later with a set of my favorite color pencils. And oh, the painting mounted on the easel next to Radel is one of my oils! The Animator. 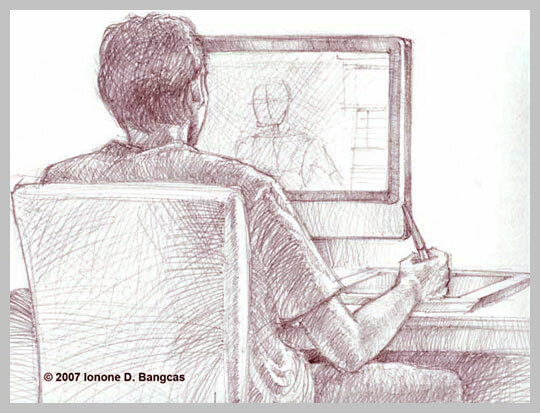 My most recent pencil drawing of one of our animators hard at work on his digital tablet and iMac.